Up and until now BA have always used a variety of caterers at their London airports even with separate caterers just for the New York JFK route, Do & Co. Traditionally food on this route has always been higher quality than on other Club World routes from Heathrow. As I announced a while ago BA had already confirmed that DO & CO, who have a premium image, would be catering the new Club Europe food. It has now been announced that DO & CO will be taking over as BA’s caterers from Gate Gourmet at Heathrow but unfortunately not until 2020. Obviously, it is a big logistics exercise for DO & Co to take on the catering for flights on this scale so it will take a long time for them to in a position to take over, hence the delay as they need to build a kitchen to supply the catering. It was also announced that Do & Co would take over the catering for Iberia and Iberia Express at Madrid airport from 2020. In an update from yesterday, Gatwick will only change menus on Club Europe flights once a month which differs from bi-monthly at Heathrow, probably due to the fact that there is far less business travel from Gatwick. The latest Finnair sale has some well-priced offers for Asia considering that they start in London and will earn you Avios and BA tier points as well. The Finnair A350 is a good product with very similar seats to Qatar. You can read my review here. However, from London over the winter they will be replacing the once daily A350 service with an A330. On the plus side, they are still long haul seats in a 1-2-1 configuration so it is still a pretty good experience and definitely better than Club Europe if you have the choice of which flight from London to take. The A330 will replace the A350 between 23 October 2018 and 15 March 2019. The A350 is also used on routes between Helsinki and Bangkok, Beijing, Hong Kong, Shanghai, Seoul, Singapore and Tokyo. 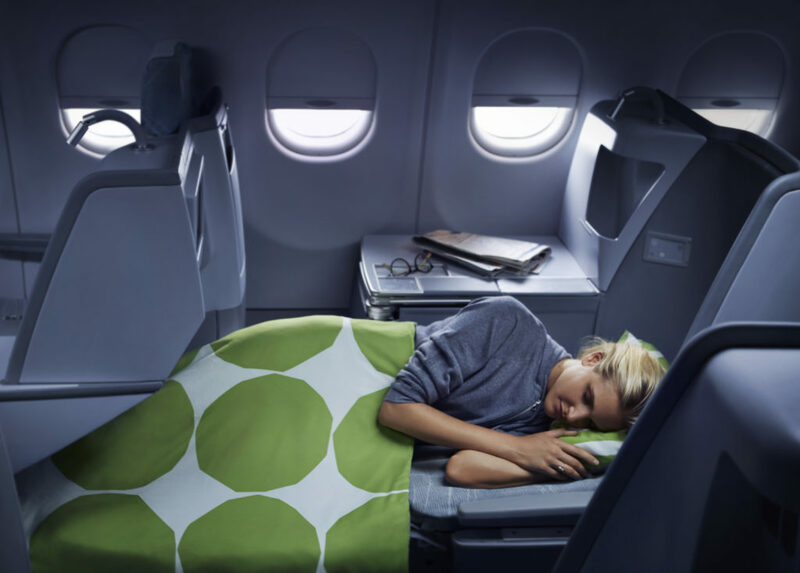 If you don’t mind a connecting flight and are trying to get extra Avios and/or tier points, then Finnair is a good alternative to BA for travel to Asia. Flying via Helsinki gets you another 160 tier points versus flying direct so is worth considering for the extra tier points. It is not as many as Qatar though but given the lack of Qatar sale prices recently you may prefer to go for Finnair based on the price. Sales period: until 30 September 2018. Bangkok, Beijing, Singapore: 15 September 2018–31 May 2019. Return by 31 May 2019. Seoul: 1 November 2018–31 May 2019. Return by 31 May 2019. You can find the Finnair offer page here. I wrote about the Malaysia sale in July but they have just extended the sale date until 17 September so it may worth a look if you didn’t take advantage before. The travel dates have also been extended until June 2019 too. The sale has some good prices from the UK particularly for Australia and New Zealand plus you can earn Avios and Tier points on Malaysia too. Malaysia mainly use their new A350 from London which I would strongly recommend that you check what aircraft you are getting before you purchase. Their A380 seats are very dated. To get the fares you must use the code: FORTWO (case sensitive) and book by 17 Sep 2018. You can travel until 30 June 2019. Booking can be made for 2,4,6 or 8 passengers travelling together. The new A350 features an almost identical business class to that of their A330. The seats are arranged in an alternating 1-2-1 or 2-2-1 pattern. This means that all of the seats in business class bar three will have direct aisle access, so avoid rows 3,6 and 10K if you want aisle access. 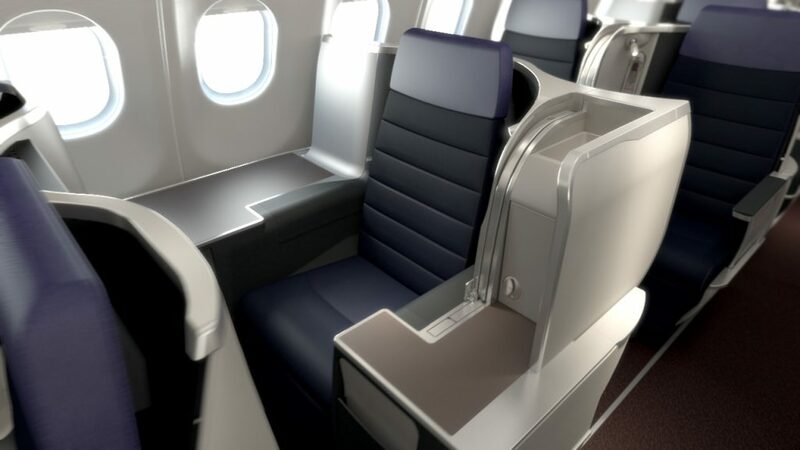 This configuration results in 4 of the so-called throne seats which have a large amount of personal space with the additional shelf space on both sides. These are all K seats in rows 1,5, 9 and 11. If you have an American Express card it may be worth checking your offers as there is currently one for money off with Trailfinders who are also offering similar sale prices on Malaysia. You can find the offer page on Malaysia Airlines website. 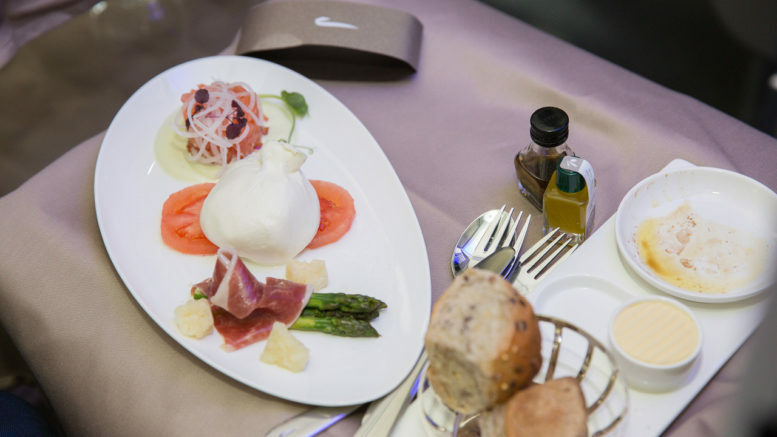 2 Comments on "News & offers: BA/IB catering news, Avios earning sales from London – Finnair + Malaysia"
Returned from Venice yesterday with BA Club Europe and had the new menu. It was just as you described. The ploughman’s was very good as were the cakes and scone. Much better than the old choices. Thanks Alan. That is good to know.